When we first got into the business of writing the food blog, admittedly, Art and I were both like little boys (Baby Hueys are more like it) in a candy shop. We’d wait in a line with other anxious foodies waiting to taste an assortment of taste-sized nibbles from local up-and-coming and renowned chefs. In that first year four years ago, we must have hit at least six festivals within the spring/summer months. Today is a much different story. Only a handful of food festivals in Los Angeles will make me want to wait 20 minutes in a large crowd with temperatures soaring over 85 degrees for a taste. Tacolandia presented by the LA Weekly. Yet, what I love about East LA Meets Napa & Bordeaux presented by AltaMed is that there’s never that long of a wait for a glass of wine or a bite to eat. It’s all wonderfully manageable and pleasant. 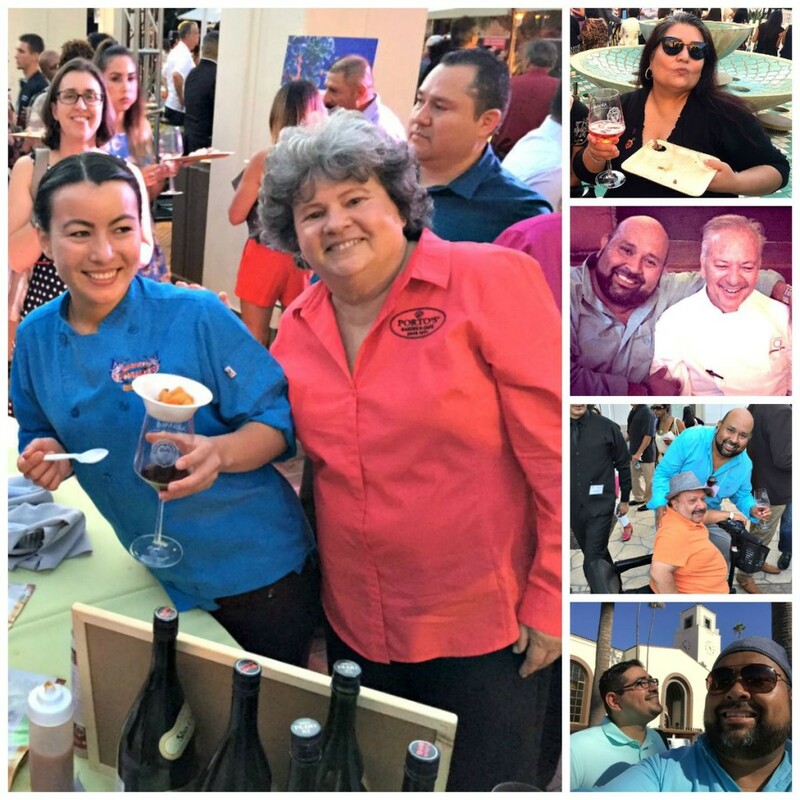 Held in the gardens outside Union Station on July 17, more than 30 restaurants and 30 wineries with wines from Napa, Baja, and France (notice the name change of the event?) paired excellently with mole, birria, cochinita pibil, ceviche, and even the nachos served by El Tepeyac, home of the world famous Hollenbeck burrito. Okay, now I want one. This is our fifth year going (AltaMed has been hosting the event for 10 years now) and once again we came home completely satisfied. Remember to take the train, bus or Uber as you will leave feeling VERY VERY happy. The event showcased wines from Napa vintners that are either Latino-owned or operated. This year, however, AltaMed’s CEO Castulo de la Rocha has ventured off to other places to find exquisite wines from Baja California and all the way to Bordeaux. Why Bordeaux you ask? Bordeaux came from a trip to France Castulo made with Chef John Sedlar and a large contingency from Los Angeles to visit its Sister City in Bordeaux. Castulo fell in love with the wines, worked his magic, and voila, we had them at the event. All of the restaurants donate their time and money and the results paid off as AltaMed raised more than $580,000 from the event thanks also to the generosity of the corporate sponsors. The event is such a success for AltaMed that this year they replicated the event in Orange County at the San Juan Capistrano Mission. EL Coraloense served its signature shrimp ceviche tostada with fresh mango on top called Maraquita. The family-owned restaurant out of Bell Gardens also had a photo frame where guests were encouraged to take selfies and post on Instagram for a chance to win a free dinner for two. Deckman’s En El Mogor had delicious oysters with cucumber and sea beans. What about pan dulce with foie gras butter and piloncillo from Broken Spanish? Quite creative in my book! 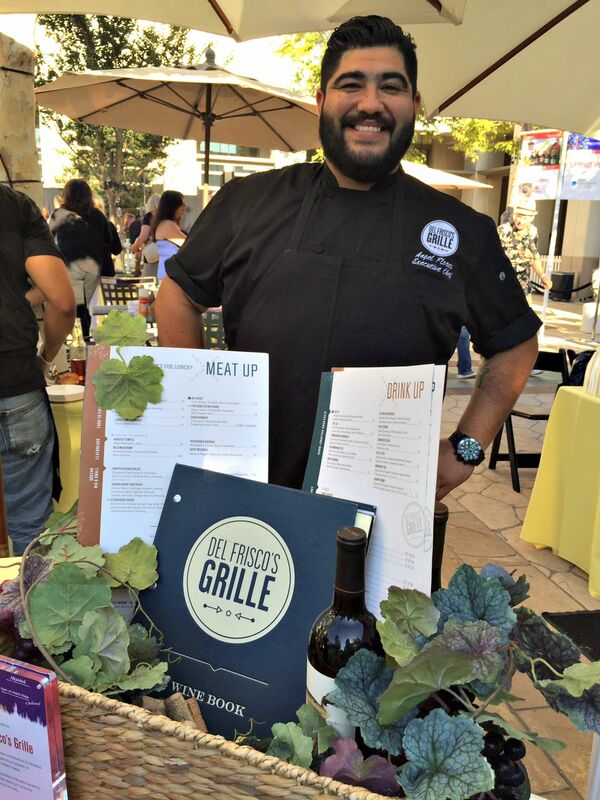 Del Frisco’s Grille in Pasadena had miniature Cuban sandwiches with Chef Angel Flores personally serving them to the guests. In a special tasting room (that was a bit too claustrophobic for my taste) featured grands crus, a premier grand cru classé, a Bordeaux supérieur. I know what you’re thinking. 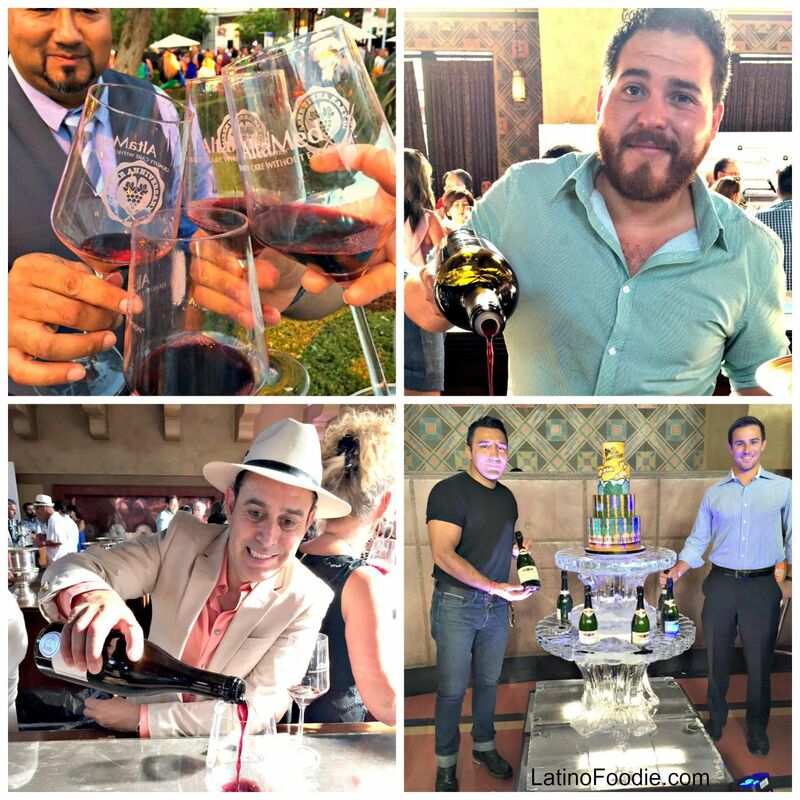 Bordeaux at a Latino food and wine festival? I guess it is not too far-fetched considering France’s invasion of Mexico so many years ago and its influence on Mexican cuisine. Plus, Bourdeaux, France is one of Los Angeles’ sister cities. We had a blast mingling with popular chefs creating new and outstanding dishes in the LA dining scene. 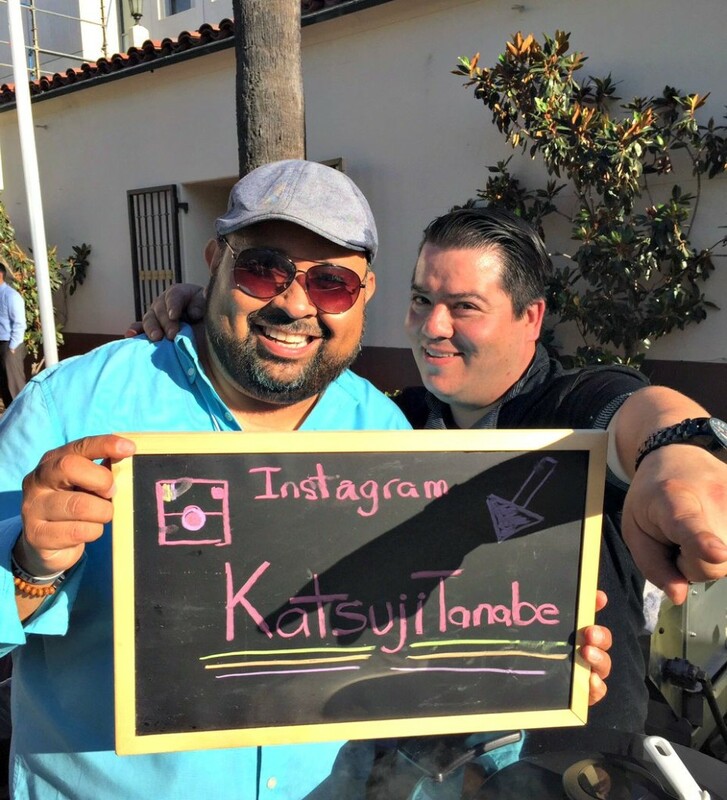 Here I am with Top Chef contestant and Chopped champion Chef Katsuji Tanabe from MexiKosher on the westside. Honestly, can’t wait until next year! 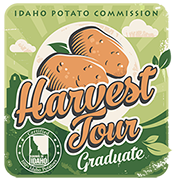 Clearly, I need to keep this on my radar and I need to visit from Reno so I can attend this fabulous event. You left me crying that I was not there!!!! It is one of the better events in Los Angeles, Caroline. You’ll definitely love it.